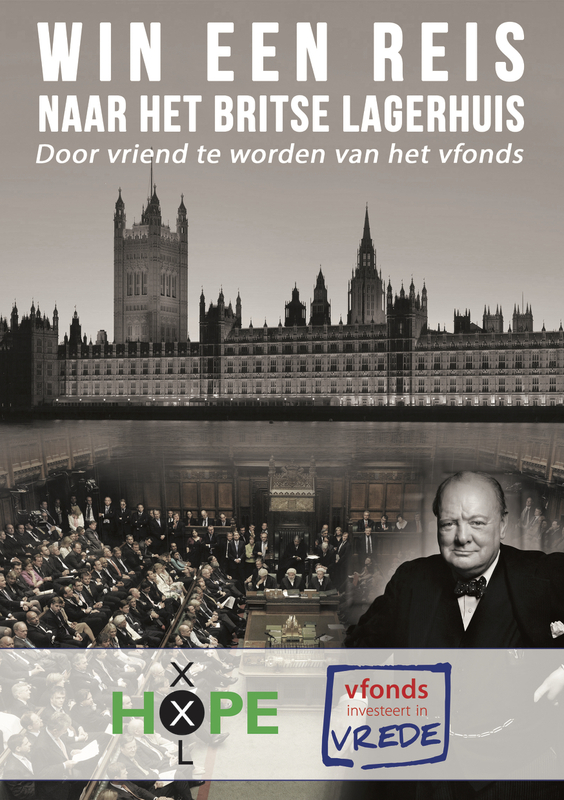 The vfonds exists for everyone who values Peace and Freedom. 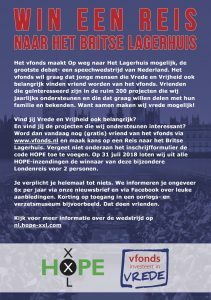 Currently they offer everyone that subscribes as a friend of the vfonds the chance to win a trip for two to the British House of Commons in London. You can participate by becoming a friend of the vfonds via www.vfonds.nl while using the code HOPE at the bottom of the subscription form. The winner will be picked from all HOPE-subscriptions on 31 july. You are not obligating yourself to anything by becoming a friend of the vfonds. Each year you will receive six news letters in which you will be kept up to date on discounts and offers from the vfonds, such as a discounts on for instance, war and resistance museums. No correspondence will be entered into regarding the results of the draw.